We believe in eclectism: we can have more than one passion, we can be meticulous, but also creative, we can be musicians, but also scientists, at the same time. In a world characterized by multitasking, the only way to deeply engage the user is to talk to all its souls, to all its interests, to all its multitudes. Starting from this consciousness, we create products with more than one function, products that are beautiful but also techy, classic but also modern, minimal but also complex. 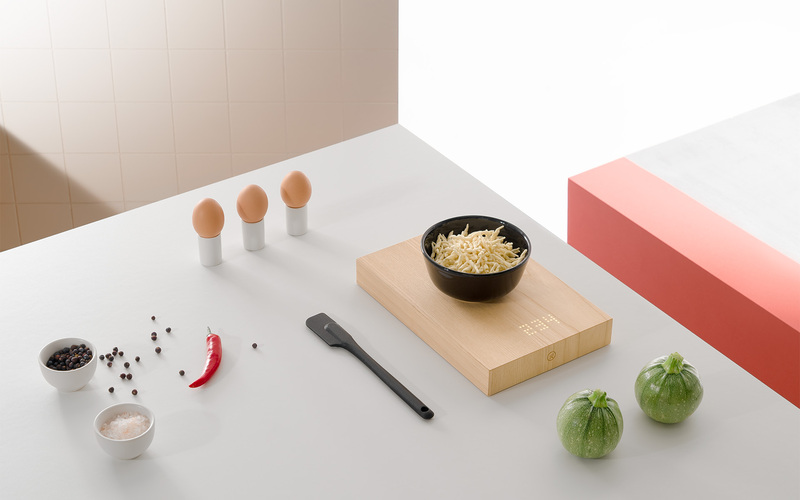 Smart wooden kitchen scale+digital timer, connected with a smartphone app. To transform everyone in a Kitchen-king. 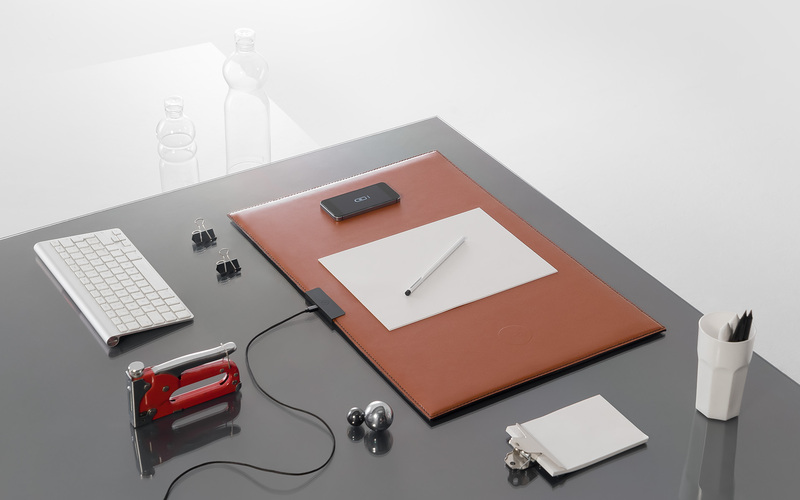 High quality leather desk, with two wireless charging zones – compatible with smartphone and tablets. For late Mobile Phones, iPhone 8 and iPhone X. The best friend of Slab! 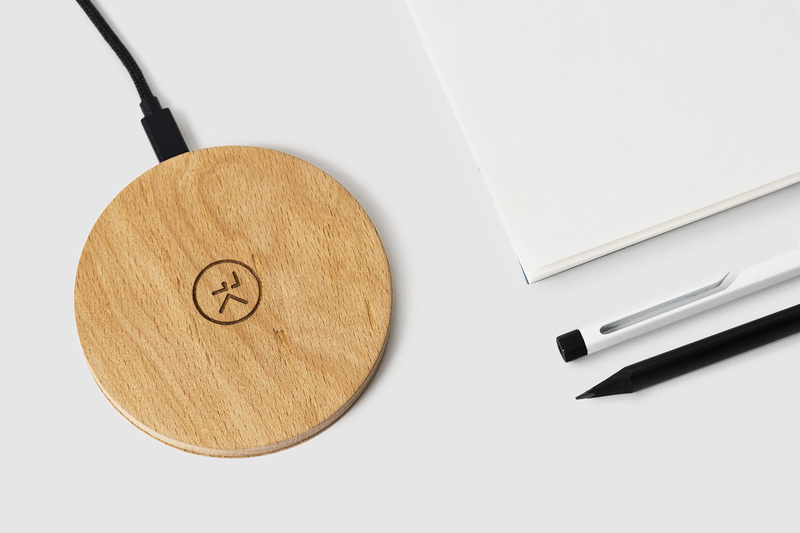 An handcrafted wooden wireless charger compatible with Qi standard.For late Mobile Phones, iPhone 8 and iPhone X.
Self-production of 50 “Scoreboard” for the Adidas Original Stores. Winners of the Switch2Products Startups competiton. Successful crowdfunding campaign on Indiegogo. Article and cover link on WIRED online. Active Surface Concept for the Milano Design Week. Accepted as official Spin-off by Politecnico di Milano. Ameluna Lamp control APP for Artemide and Mercedes. Our first amazing space for the Milano Design Week! Digital Textile Experience with Art Nova at Salone del Mobile. We’re finalist at the Land Rover BORN Awards.